not like us to destroy any robots as they're pretty cool. Read on for more shocking developments! Are you happy to participate in this interview or are you doing it against your will? I am happy to do it, however if I was forced, I wouldn't say so obviously, or I might not like the consequences! Nick. My purpose is to live, and love. The Simpsons, King of the Hill or Futurama? Futurama without a doubt. It has lots of robots in it, and despite my twitter handle, I personally think robots are pretty cool. You just won a years supply! But of what? Free wishes. However if that wasn't possible, beer. Kelloggs are getting tired of Tony the Tiger and his huge ego. They ask you to come up with a new mascot for them. What's your mascot's name and species? I think Kellogs should dump Tony and go for someone younger. Tony's huge ego is only the result of royalties which have paid for his mansion, where he lives the typical rich animal lifestyle, snorting sugar off a deer's bosom. I'd have a go at Super Mario, any of the games I guess. Sure stomping on enemies is effective, but has Mario ever tried talking to them in a civilised manner? Perhaps the Goombas are very reasonable, and eager to listen to facts about their boss, Bowser. Not sure about a board game. You receive a message to come to a secret location, at a secret time. You are told no more than this. What do you do, given that they did not specify the location or time? Also, who sent that message? I would do nothing. Maybe check a map for a place called "Secret Location". Curious wouldn't be that bad, especially if you know its only for an hour. F) Eff off, it's called a toilet! B or C would be fine, hard to pick. I love Sci-Fi, but then I'd love to be in a super hero movie. 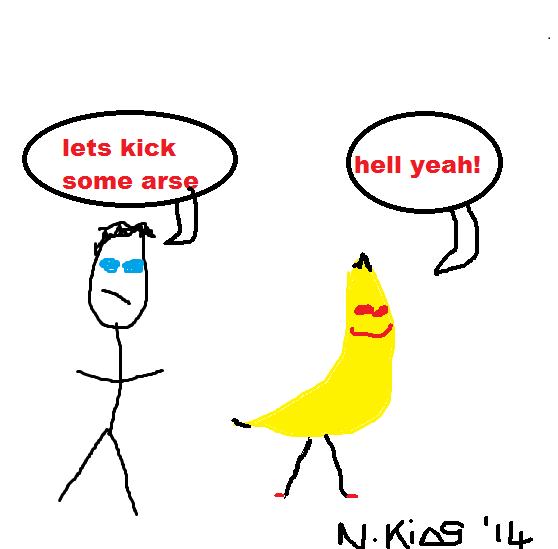 C.
Draw a picture of yourself with your sidekick "Mr Banana". Be as detailed as you wish. Now head over to @destroy_robots and follow him! Do it now! Are Humans the Only Ones Who Trip? What Stops a Good Guy With A Gun? 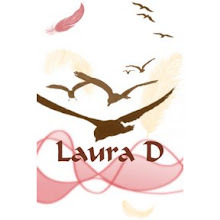 Find Your Perfect Job Courtesy of Laura D!